LiDAR, an acronym for Light Detection and Ranging, was originally created as a portmanteau of the words light and radar. This is a surveying technology that measures distance by illuminating a target with laser light. LiDAR increasingly became the catalyst for development of a wide range of technologies that span numerous STEM fields. The Global LiDAR market is expected to grow at a Compound Annual Growth Rate (CAGR) of 19.2% from 2013 to 2018. Companies that engage in development of LiDAR technologies as well as usage of it to make advancements in their respective fields may be eligible for considerable R&D tax credits. The speed of light is approximately 186,000 miles per second. The time of flight is measured by how long it takes the laser to leave the LiDAR device, hit a surface, and bounce off that surface back to a sensor on the LiDAR device. The reason the distance is divided by two is that the laser is traveling to and from the object. If the numerator were not divided by two, the distance the laser traveled would comprise of the entire time of flight, which demonstrates a reading of double the actual distance of the object. One laser leaving a LiDAR instrument is not that impressive, but when tens of thousands are dispatched, a highly accurate picture can be rendered. Each laser that hits a surface and bounces back can be used to measure an accurate distance. When data from the laser is compiled and manipulated through advanced algorithms, the points where the lasers strike can be used to render a 3D image. Thus, when lasers are dispatched continuously in high volumes per second, a real-time image can be created. This image is adaptable for different applications, including virtual mapping for autonomous videos. The field of photonics and development of LiDAR are key factors in developing various technologies. Google empploys LiDAR sensors that cost approximately $80,000 in its early autonomous vehicle designs. The LiDAR sensor found atop Google’s round and friendly prototype provides extreme accuracy of terrain up to 100 meters away. The sensor is a Velodyne 64-beam laser, which can rotate 360-degrees and take up to 1.3 million readings per second. Uber currently utilizes Velodyne’s costly LiDAR in its autonomous test vehicles. At the same time, Innoviz is collaborating with Jabil to create a more inexpensive LiDAR product for self-driving cars. This LiDAR will be a solid-state device that has extra long detection range of 200m. It will also offer HD, 3D environment scanning. This is a beneficial advancement for the future of automated vehicles since it may help achieve the goal of making driverless vehicles that are more affordable without compromising on reliability. Though LiDAR is an excellent tool that allows cars to move with additional freedoms, it will need to experience significant price reductions if self-driving vehicles are to become ubiquitous, as the Business Insider predicted. Currently, there is a vacuum in the industry where companies are seeking out LiDARs that cost merely $100 and perform better, are smaller, and more reliable than the LiDAR sensors employed, for example, by Google and Uber. In an effort to attain these goals, developers experiment with creating solid-state LiDAR systems. Luminar Technologies, based in Silicon Valley, is expanding the traditional LiDAR range of 100m to 200m in its new solid-state sensors. Companies such as Velodyne LiDAR, Inc., based out of Silicon Valley, are excellent candidates for the R&D tax credit. Activities involving the minimization of size, weight, cost, and power consumption of LiDAR sensors are eligible for federal tax credits as well. These R&D activities are essential for the future of self-driving vehicles. Lighter and smaller sensors that use less power and cost less allow for increased development of fuel-efficient vehicles. Cost savings in sensors can even be used to bolster other elements of self-driving cars, such as power supply. In 2015, approximately $300 million was spent on LiDAR capable drone development. By 2020, the demand for LiDAR is forecasted to grow by more than $1 million. In the past, the cost of investing in LiDAR equipment was prohibitively expensive. Many companies found it necessary to rent fixed-wing pilot aircrafts, equipped with LiDAR technology. Recent advances in Drone technology, as well as developments in reducing the size of LiDAR sensors, are making it possible for LiDAR to reach its full potential. Many drone manufacturers are developing models that are LiDAR adaptable. When LiDAR is used in UAVs, unmanned aerial vehicles, the UAV’s location must be known at all times. The reason for this is that the time of flight of the laser would be off if the movement of the LiDAR sensor from the firing point is neither precise nor accounted for. Recent research and development has resulted in various uses and applications of LiDAR in UAVs. Some include agriculture and forestry, topography in opencast mining, construction site monitoring, building and structural inspections, resource management, collision avoidance, hydrodynamic modeling, and digital elevation modeling. With the introduction of LiDAR in UAVs, sophisticated software can now process LiDAR images to reap numerous benefits that were previously unattainable. LiDAR technology has the ability to detect obstacles, which is used to avoid situations, namely drone collisions. These sensors have also incorporated optical altimeter technology that helps agricultural and forestry sectors inspect vegetation and crops, but also remove aboveground imagery to get a better view of ground surface area. Such features are not feasible without the use of LiDAR sensors on UAVs or drones. Companies that are employing LiDAR technology to increase the capabilities of UAVs may be eligible for the R&D tax credit. LeddarTech: Headquartered in Quebec City, Canada, this company is known for making one of the top LiDAR sensors for UAVs in the industry. Its Vu8 LiDAR Sensor is compact, solid-state with no moving parts. Unlike its predecessors, this LiDAR can reach a range of 215 meters. It has a fixed laser light source, which improves its robustness and cost-efficiency. This LiDAR sensor is not impacted by other, disruptive sensor signals, including direct sunlight and adverse weather conditions, such as rain and snow. This sensor is popular for navigation and collision avoidance in drones, trucks, and construction and mining equipment. Velodyne: Velodyne creates many of the LiDAR sensors comprising the marketplace. It makes three of the best sensors for UAVs, known as HDL-32E, Puck VLP-16, and Puck Lite. These sensors provide a full 360-degree view of the environment. The HDL-32E has a rugged design and lower power consumption, which helps it exceed the demands of challenging real world autonomous navigation and 3D mobile mapping. The Puck VLP-16 is the smallest, newest, and most advanced product from LeddarTech. As the sensor is more cost-effective than its competitors, Velodyne intends to mass produce it. The sensor offers real-time features, 360-degree horizontal field of view, 3D distance, and calibrated reflectivity measurements. Finally, the Puck Lite is even lighter than the Puck VLP-16, weighing 590 grams. Other than weight, there is no significant difference between this version and the VLP-16. LiDAR technology will also change the way that manufacturing is conducted. 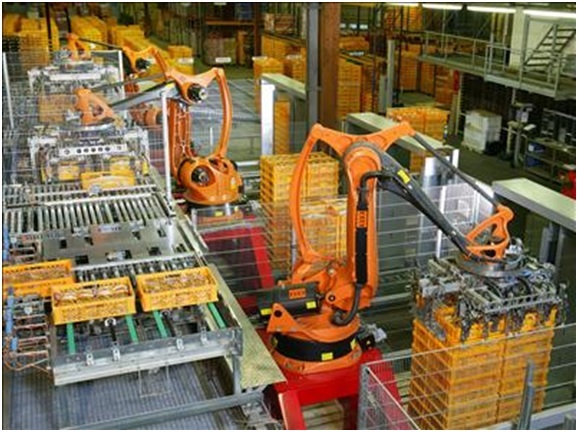 There is recent demand for Automation in manufacturing, which is necessary for American companies to remain competitive in the global marketplace. In 2015, Amazon announced plans to hire 6,000 new warehouse workers. The same week of this announcement, Amazon sponsored a competition at The IEEE’s International Conference on Robotics and Automation in Seattle, WA. The purpose of the competition was for contestants to design a robot capable of autonomously picking up products and packaging them for shipment. Currently, there are no industrial robots capable of recognizing even a small percentage of products that Amazon sells. Industrial robots have a hard time grasping a wide range of differently shaped items. The geometries of the items differ, which makes it more challenging for the robot to determine the proper methodology to pick up the right product for packaging and shipment. Of the many different approaches explored to solve this debacle, a popular one is to utilize LiDAR sensors. Companies like Boeing believe that “3D LiDAR is the key to everything.” 3D LiDAR has the potential to permit manufacturing robots to understand the world around them. As a result, manufacturing robots can use LiDAR sensors to create a succession of 3D maps over time. These maps can then be analyzed to find differences, which would give manufacturing robots the ability to recognize when objects move and which ones are moved. The robot would simply identify and compare the differences between the 3D maps over time to be more productive and efficient. Developments in LiDAR technology ought to revolutionize the manufacturing industry. Any firm employing LiDAR to advance robotic awareness and object identification capabilities is eligible to apply for the R&D tax credit. The need for more inexpensive laser technology in autonomous vehicles sparked a race to develop the next generation of LiDAR technology. The University of California, Berkeley is at the forefront of the competition. Berkley is developing a new self-sweeping laser that can significantly shrink 3D mapping systems. The new approach automates the way a light source changes wavelength as it passes over a terrain. When LiDAR sensors are at work, they must be able to continuously change frequency of the shooting lasers so the difference between the incoming reflected light and outgoing light can be calculated. The reason this advancement is groundbreaking is because the new system can be powered simply by an AA battery. As a result, a LiDAR sensor can be brought down from the size of a shoebox to something condensed enough to fit on a Smartphone or UAV. Massachusetts Institute of Technology has been making advances in laser and 3D imaging technology. Recently, MIT researchers developed a polarization technique to increase the resolution of a conventional 3D-imaging device by a factor of 1,000. The new technique employs Microsoft Kinect, a video game accessory, and different polarized filters to determine the precise orientation of light that bounces off an object. Carnegie Mellon is well known in the world of robotics and autonomous vehicle navigation. This private institution believes LiDAR is a key component in the navigation systems of self-driving vehicles. It is currently engaged in researching optimal LiDAR sensor configuration. The premise of this research is to create a framework that permits mechanisms with multiple LiDAR sensors configured with different settings to be more effective. Recent advancements in the mechanical aspects of LiDAR sensors have been sudden, but what truly advanced the capabilities of LiDAR sensors is the computing power behind it. Simply put, the more photons that are dispersed from a LiDAR sensor, the better. Its accuracy will significantly increase when the amount of photons fired per second increases. If all data points collected are not processed rapidly into actionable data, then it will not be beneficial to its users. The future of LiDAR is intertwined with the development of processors and algorithms that better wrangle the massive data sets that LiDAR sensors produce. The U.S military is in possession of a highly advanced “microchip bearing the largest every array of pixels that detect just one photon a piece–more than 16,384 pixels in all.” This system is designed by Lincoln Laboratory, a federally funded R&D center run by MIT. There is no available imagery of the new, functioning system, but its power and capability can be extrapolated based off earlier system generations. After the 2010 Haiti earthquake, an earlier version of the system was installed on a commercial Jet. During a single pass at 10,000 feet above Port-au-Prince, Haiti, the jet captured snapshots of 600 square meters of the city at a resolution of 30 centimeters. This snapshot’s clarity could even demonstrate the height of rubble in the streets. What is remarkable is that the clarity of this legacy LiDAR system was made with one-quarter of the pixels equipped on the new system. LiDAR is changing the way people approach renewable energies. Wind energy is a promising energy source that is gaining significant traction. 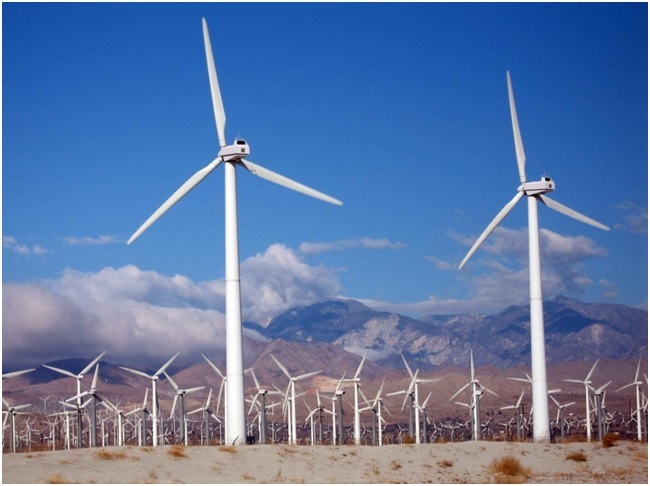 For wind power to become more readily adopted, wind farms ought to be more energy efficient. Now, significant acreage is required to meet commercial and residential power needs. Wind turbines are also costly. When wind farms are built it is crucial they produce as much energy as possible will being efficient and cost effective. LiDAR can help achieve this goal. LiDAR is currently advantageous in measuring wind flow. Normally, when surveying a site for a wind farm, models are created to determine potential energy generation. When LiDAR measurements are integrated into the modeling process, models become significantly more accurate and descriptive. Such an increase in accuracy allows for the selection of a location that is guaranteed to produce more wind energy. This in turns reduces the uncertainty of energy yield, which also reduces uncertainty in the investment. LiDAR is also applicable to wind farms monitoring performance and ensuring optimization. LiDAR can be used to gather data on wind conditions that impact the performance of wind turbines. In cases where LiDAR sensors detect conditions such as wind shear and strong gusts of wind, turbine control hardware can be directed to regulate the machines to operate in ways that protect the turbine from potential damage. Companies that engage in efforts to increase wind turbine performance using LiDAR technology can apply for the federal R&D tax credit. LiDAR’s accuracy in range finding makes it ideal for spaceflight. When it comes to spaceflight, LiDAR is beneficial in orbital element calculation, proximity operations, station keeping of spacecrafts, and atmospheric studies conducted from space. Many researchers in the Spaceflight industry use LiDAR technologies in revolutionary applications. NASA, the most prominent in the spaceflight community, is currently collaborating with DRS Technologies, based out of Virginia, to create a mid-infrared detector. This detector is made from Mercury-Cadmium-Telluride. What makes this detector highly efficient is that it can process returning infrared signals at a single photon level. The new detector is the world's first photon counting detector. It can register mid-infrared wavelength bands, which will greatly increase the performance of a multitude of remote sensing applications. Finally, LiDAR was employed in space exploration, namely that of Mars. The technology was used to create a topographic map of the planet. Because of this success, NASA employs LiDAR technology in its Phoenix Lander to determine snow precipitation in the Mars’ atmosphere. As previously mentioned, LiDAR usage is growing in varying industry sectors. They are popular in agriculture and forest planning management. Because LiDAR helps develop advanced elevation maps, farmers can convert this into slope and sunlight exposure maps. This helps farmers create high, medium, and low crop production areas to save on costly fertilizer and other farming techniques. In forest planning, it facilitates the measurement and understanding of vertical canopy structures and its density. LiDARs are beneficial in water management as well. Watershed and stream delineation benefit from the use of LiDARs. Coupled with GIS software, one can calculate the watershed for a specific channel or determine stream channels for over land flooding. Surveying rivers is made possible with the water penetration green light of LiDAR. This information helps determine depth, flow strength, and width of the river. Now, engineers can produce more advanced river models as well as floor way and fringe maps. This same feature works for marine engineers studying the ocean. Engineers are beginning to utilize LiDARs for Integrated Storm Water Management planning, another way to manage rainwater. This process balances land use planning, storm water engineering, floor and erosion protection, and environmental protection. Elevation maps are crucial for this process, which is made possible with accurate and precise data from LiDAR sensors. From manufacturing to meteorology, LiDAR is an integral technology for many disciplines. LiDAR technologies are becoming lighter, more accurate, and cost efficient. As LiDAR advancements becomes more refined and ubiquitous, its applications will expand. Companies with a direct hand in the progression of LiDAR as well as those using LiDAR to supplement products and research efforts can take advantage of the R&D tax credit. Companies can use the savings generated from the credit to further fund their research and advance organizational goals pertaining to LiDAR innovations.